From the Wright’s very first powered flight in 1903 to ordinary, everyday folks taking flight from a local airport today, the very act of breaking ground and venturing into the sky has always been associated with memorable moments. What’s yours? Even if you’re not a pilot, there’s a good chance you can recall a particular flight to see a loved one, embark on a vacation, or maybe even start a new life somewhere else. Honeymoons, college careers, and countless other indelible memories often begin with a flight. Sometimes I think it’s the only element of commercial air travel that still retains the slightest semblance of the romance and magic of the old days. As for me, it’s a tough call selecting just one flight as my “most memorable”. There are so many choices: the control jam in the middle of an aerobatic sequence? The electrical fire in a U-21A? Perhaps one of the partial engine failures I’ve experienced could be considered most unforgettable. Of course, not all my notable flights have centered around near-death experiences! There have been many joyous and poignant occasions as well: my first solo, first instrument approach to minimums in actual IMC, scattering the ashes of loved ones, taking an old friend for their last flight, introducing kids to the wonders of aviation, helping those in need through Angel Flight, and more. A memorable flight by anyone’s definition. 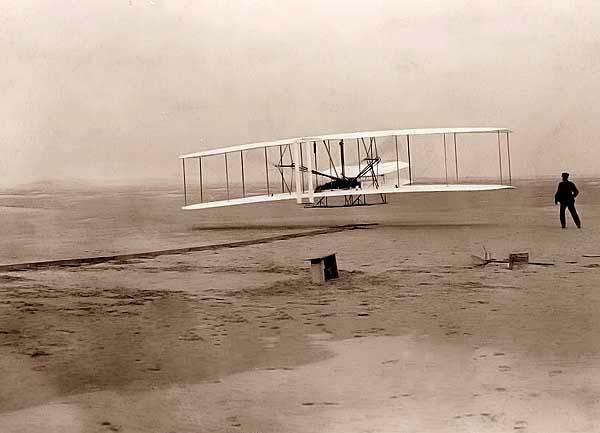 The Wright brothers make the first heavier-than-air flight in 1903. There is one particular flight which keeps coming back to me. It’s hard to say that this is the most memorable, above and beyond all the others. But I can state with certainty that this is not a flight I’m likely to ever forget. 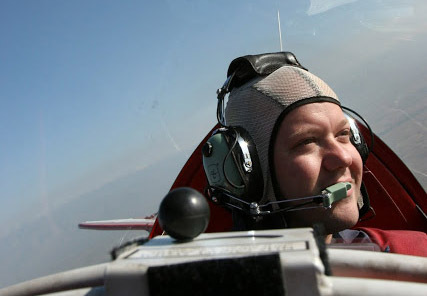 It was April of 2006, and for some masochistic reason I’d decided to get checked out in a Pitts S-2B. If you’ve never had the pleasure of flying one of these, it’s the kind of airplane that can go from exhilarating to terrifying and back again in extremely short order. All of Curtis Pitts’ designs have what you might call “personality”. Depending on the quality if your last landing, of course, you might call it something else. Something wholly inappropriate for polite company. It’s not like I was a neophyte when it comes to high-performance aerobatic tailwheel airplanes. I was already instructing in the mid-wing Extra 300, which has it’s own list of challenges. The mid-wing limits visibility from the back seat during landing. I had trouble landing that aircraft until I realized I was sitting a wee bit too low in the seat and not picking up the necessary sight cues. Ironically it was a flight from the front seat of an S-2B that clued me in on that. Even with the Extra 300 experience, though, the Pitts was a worthy challenge. I’m actually surprised the FAA certified it at all. I mean, the fuel tank is inside the cockpit. And if the plane ever goes over on its back you won’t be able to open the canopy and can easily end up covered with fuel if the tank gets crushed by the engine that sits directly in front of it. A friend of mine actually did have to make an off-airport landing in his Pitts S-2B later that year. I recounted his mishap in a previous entry. Yuichi was lucky — the fuel tank remained intact. But if you read his story, you’ll see that he was trapped upside down in the plane. If the fuel tank had ruptured, any spark would have turned him into a human candle. Like I said, the Pitts is a worthy challenge. But! Once you’ve mastered — I mean really mastered — this airplane, I firmly believe you can fly anything. And I’m not the only one who thinks that. I once ran into a NASA astronaut in Las Vegas who said he’d taken the controls of many different flying machines ranging from gliders to helicopters to supersonic jets to the space shuttle, and in his opinion if you could land a Pitts you could land anything. Did I mention he was also a test pilot before he joined NASA? Anyway, back to the story. I’d been flying a series of dual flights in the Pitts with a fellow CFI and was doing well in the relatively benign wind conditions prevalent at John Wayne Airport (KSNA). I’d completed the full spin course in the airplane, including all upright and inverted spin modes, plus crossovers from upright to inverted and vice-versa. 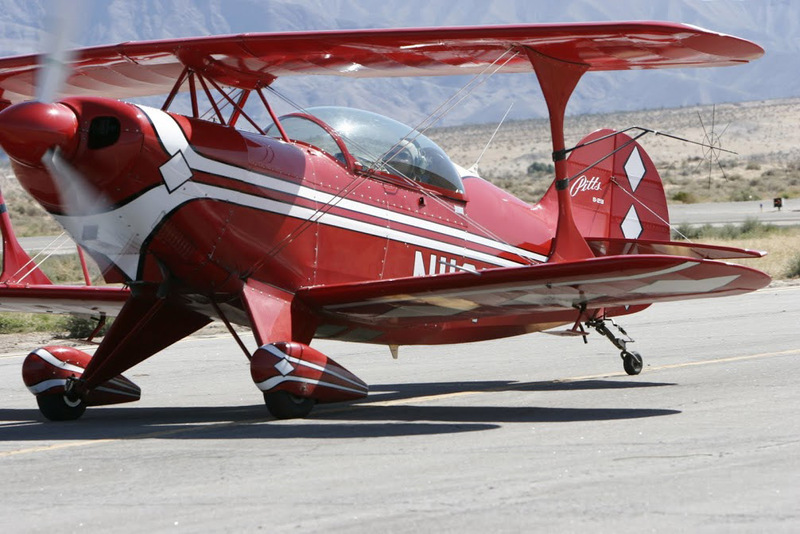 But I had yet to solo when the day arrived to move the airplane out to Borrego Springs a the two-day training camp which preceded the annual spring aerobatic contest. No problem, though. The plan was for me to solo out there during the training camp. In many ways, Borrego was a better environment for it. A longer runway, less traffic, no wake turbulence concerns, and fewer distractions. What could possibly go wrong? The first flight at L08 was dual and honestly felt a little rough around the edges. The emphasis had gone from focusing exclusively on landing the airplane to flying competitive-level aerobatic sequences before doing so. Eventually it was determined that I was “good to go” and the next flight found me in the cockpit by myself for the first time. To say I could feel the eyes of the world on me would be an understatement. The training camp was populated exclusively by tailwheel aerobatic pilots, and everyone was watching. I don’t recall much about how the training session in the box went — I did well at the contest the next day, so it couldn’t have been too bad — but I’ll never forget what happened next. After vacating the box I flew over the airport and entered right traffic for runway 8. By the time I reached pattern altitude, it was clear that the wind had picked up. A lot. Welcome to the desert! After turning final I noticed that the windsock indicated I’d be landing with a tailwind. So I went around, congratulating myself for catching the change, and re-entered for left traffic on runway 26. Problem solved! Or not. Oddly enough, the windsock on the other end of the runway was showing a tailwind there, too. Another go-around. Circling overhead, I took a careful look at the windsocks and noticed they were each pointing in different directions, and moving all over the place. The turbulence had increased significantly, and the wind velocity at each sock seemed to be at least 20 knots because they were fully deflected. Time for Plan B! But first I’ve got to make a Plan B. I briefly thought about simply waiting it out, but that strategy doesn’t work for long in a Pitts. I took off with about 15 gallons of fuel, and the airplane has a very thirsty 540 cubic inch engine which will burn through that in about 45 minutes when you’re running full-rich, just as you would be when punishing the engine during an aerobatic sequence. I’d never encountered this before. Both ends of the runway were indicating tailwinds and the mid-field area seemed to have a substantial, direct 90 degree crosswind. 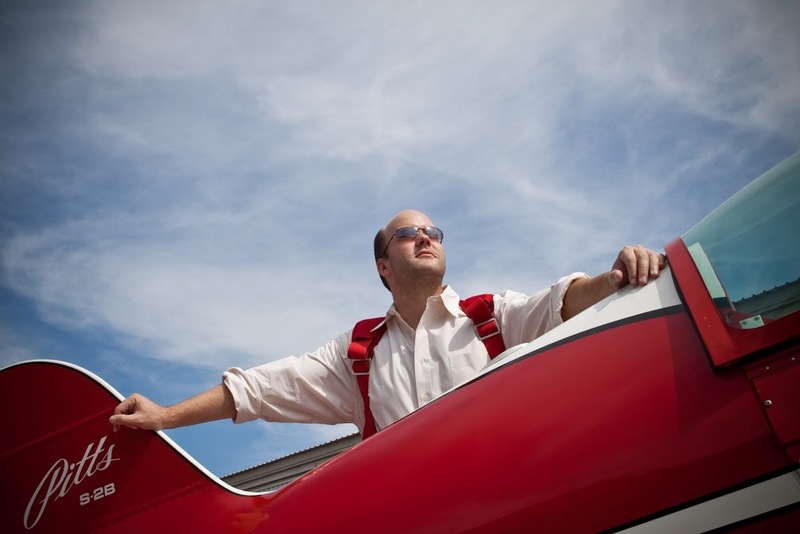 If you’re not a tailwheel pilot, you might wonder what the big deal is. Assuming you’ve got enough runway — and at 5,011 feet, Borrego certainly is long — what’s the hazard? Tailwheel airplanes are directionally unstable on the ground, and landing in a tailwind means you’ll lose rudder effectiveness (and therefore control) as you slow down after landing. In most airplanes, the landing is “over” once you’re on the ground. OK, not really — but that’s how many pilots fly, and they seem to survive somehow. But the guys flying tailwheel aircraft know that touchdown is when the fun begins, not ends, as the aircraft tries to go everywhere except straight. I radioed down to the ground to ask for an opinion on the conditions there at mid-field and was told the winds were gusty and coming from various directions. They were seeing the same thing I was. Question is, what to do about it? The suggestion came back, “Just pick a runway.” Well, I’ve only got two to choose from. I elected to circle over the airport a couple more times. Then I realized things had indeed changed! The windsocks were all fully reversed. Both runways now indicated a headwind! I was starting to wonder if this was some sort of trick they played on pilots crazy enough to try and solo a Pitts. The aerobatic equivalent of asking for a “bucket of prop wash”, as it were. Flying solo and loving every minute of it. By now I was starting to think more about fuel. Or the lack thereof, I should say. In a Pitts, the fuel level is indicated by a simple tube connected to the fuselage tank. The turbulence had the fuel flowing up and down the tube, so it was hard to get a reading. This S-2B was also equipped with a fuel totalizer, and it indicated that I was fine for now. But the thought of needing to divert to another airport meant I’d have to watch things carefully. Aside from a small residential airpark, there are no airports terribly close to Borrego Springs. Another look at the windsocks. They’ve all reversed once again! Tailwinds on both runways. Hmmm. Suddenly, the wisdom of “just pick a runway” began to dawn on me. “Oh &#@*, I’m on the ground!”, I realized. The wind hit me from the right, but I danced on those pedals and kept it straight. Then the left, then the right again. The stick was all the way back and she was solidly on three wheels. Nothing left to do but keep it straight on the rollout. But — there was a gust from in front of the little red biplane, and it got light on the wheels in a big hurry. Airborne again, dammit! Okay, stay with it… re-flare…. plenty of runway left… squeak! Or was it “plop”? Who cares! I did it. My goal was achieved: land a Pitts without breaking anything but a sweat. As far as I was concerned, the entire week was a success at that point. I’d proved to myself that it was possible to coax, manhandle, and sweet-talk this red devil back down to Mother Earth. Taxiing back in to the ramp at Borrego Springs. After extracting myself from the cockpit, I went into the airport terminal (really nothing more than a semi-permanent trailer sitting on the ramp) and bent over the desk to see the digital ASOS wind readout. The direction was all over the place, but what really caught my eye was the velocity: gusting to more than 40 knots. Borrego is like that. I recall being on the judging line once when a front passed through and you could actually see it coming. The wind shift on frontal passage was so strong that it broke a PVC pipe used in the shade structure over my head, which proceeded to hit and crack the top of the white resin chair I was sitting on. I heard it but didn’t see anything because my eyes were filled with sand. The wind blew the rest of the afternoon. In the southwestern U.S., these aerobatic contests are always held in the desert, and there’s rarely a shortage of “sporty” wind conditions once afternoon hits. I’ve had a few other notable experiences getting back on the ground after landing, but none quite as memorable as that first Pitts solo. The legends are true, my friends: what doesn’t kill you really does make you stronger. This entry is part of an ongoing collaborative writing project entitled “Blogging in Formation”. Ha, small world! I wonder which model it came off of. I’m sure that Lycoming will live a longer and less stressful life on the pointy end of your RV-8 than it would under the cowling of a Pitts! It does indeed. One of my favorite instructional duties is teaching primary in a tailwheel. Ironically, those planes not only build better pilots, but they can also be cheaper than a tri-gear aircraft. A little Luscombe, Citabria, or Cub is pretty inexpensive to operate! Since my 1st memorable solo in a hang glider at age 15, I’ve longed to return to that most basic of flying…and, to me, aerobatics in even the simplest Citabria, has been calling my name for decades. Thanks for the reminder to get back out there and fly, really FLY! There are definitely a wide variety of adventures to be had! Speaking of hang gliding, I think there is (or was) a hang gliding operation basically underneath the departure path out of LAX. Wouldn’t that be a rush, gliding peacefully down the beach and then having a 747 roar overhead on it’s way across the ocean? ever had a mid air in a stearman? How quickly they forget. Believe me, that will never be forgotten. Memorable with a capital “M”! Ron, This is a fabulous story. And I’m thoroughly impressed. I believe it’s time to get a tail wheel endorsement myself. But I’m doing it in Seattle where the winds are stable. The real question is… did they have bets going on the ground as to which way you were going land, or the finale outcome? Thanks for sharing this great flight. I’ve noticed something interesting over the years: sometimes a pilot’s best landings in conventional gear airplanes are made in strong wind, while my worst are in calm weather when one might expect a “greaser”. It might have to do with how amped up and hyper-aware we get when conditions are challenging. People have tried to be that vigilant when the winds are calm, but it’s tough to “fool” oneself. 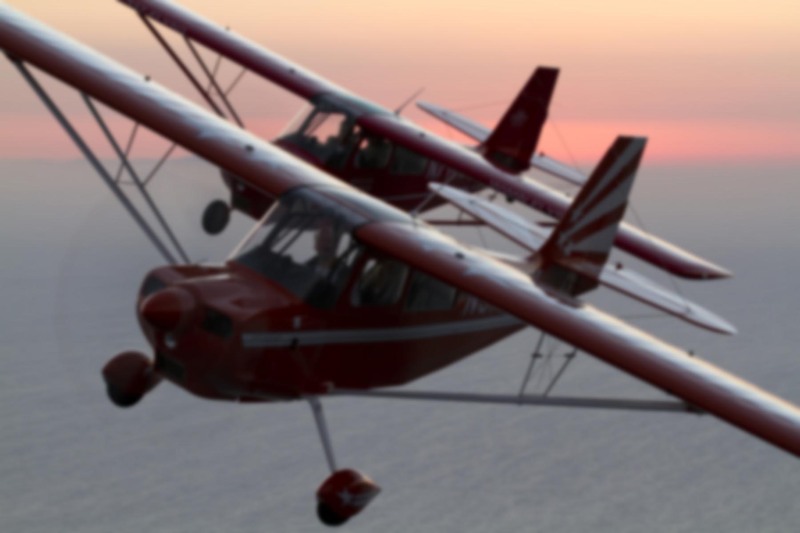 You should definitely pursue the tailwheel endorsement! There are some awesome places to take “fun” airplanes in the northwest. Have you ever landed at Copalis State Airport? It’s literally a stretch of beach! You gave us quite a ride. Loved reading it but wouldn’t want to try for now.